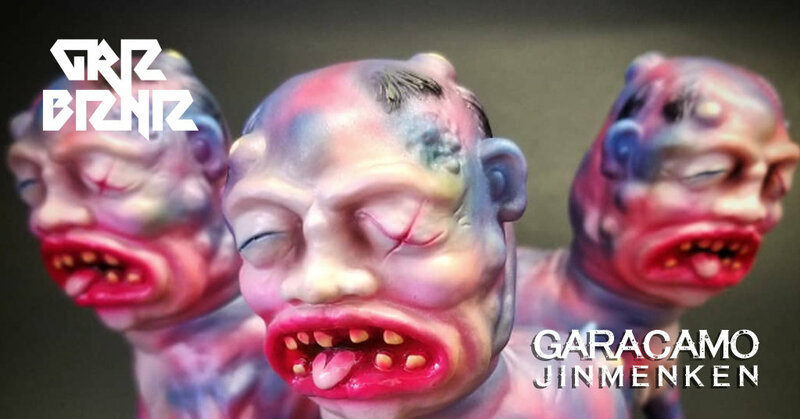 Black Drove godfather Grizlli is taking on The Eternal Tears Of a Willow‘s Jinmenkin soft vinyl kaiju on a very special ‘Garacamo’ version! Cast in flesh soft vinyl, hand painted with blue, magenta and black sprays for this ‘Garacamo’ version. Features one point of articulation and stands about 4 inches tall. Limited to only 3 pieces. Sales open 22/01 12pm pst at GRIZBIZNIZ.BIGCARTEL.COM. Follow Grizlli on grizbizniz.bigcartel.com, Instagram and Facebook.